The Visitation refers to the time when Mary, receiving the news from the angel Gabriel that she was going to become the mother of Jesus as well as that her cousin Elizabeth was going to have a baby, rushed to her elder cousin’s side. Gifts of the Visitation by Denise Bossert (Ave Maria Press, 2015) is an in-depth look at this event, inviting readers to learn from both of these holy women. Mary and Elizabeth “knew how to serve one another, for love of God.” God gave them the grace they needed for their respective spiritual journeys which changed the world. We can rest in the knowledge that God provides us with what we need as well. 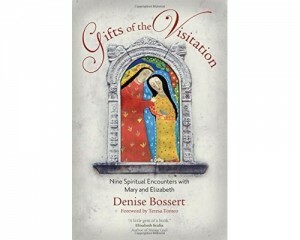 In reading and reflecting on “The Gifts of the Visitation” we can seek to imitate these amazing women and carry out God’s will for us in our own lives.